FFA - JP Morgan Chase to donate $1 million to Southern Poverty Law Center and its hate list propaganda. Chase's insulting response essentially states "It is okay to support SPLC's hate toward conservatives as long it fights white supremacist." Click here to send your email to express concern to JP Morgan Chase officials regarding its plan to fund the Southern Poverty Law Center and its response to public concerns. to inform JP Morgan Chase it is NOT okay to support Southern Poverty Law Center's hate toward conservatives as long it fights white supremacists. • The Southern Poverty Law Center's (SPLC) wrongful labeling of some conservative organizations as hate groups unjustly harms reputations, threatens public safety and brands their followers as hate people. • The Southern Poverty Law Center’s name calling and labeling is offensive and alarming to the millions of Americans who belong to and support many conservative organizations that are wrongfully listed as hate groups. • The Southern Poverty Law Center’s list puts these organizations’ employees and the people who support them in a bull’s eye target for leftists’ hate and possible violence. Chase’s ridiculous response (posted below) is insulting to tens of millions of conservatives. 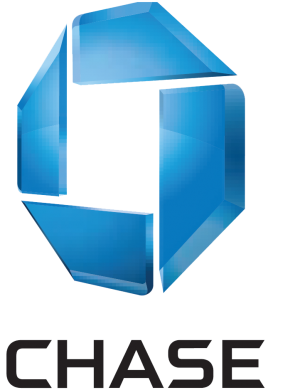 Chase wants the public to believe the Southern Poverty Law Center will only use Chase funds in the way Chase wants. Even if that were true Chase's donations frees up other resources to be used to continue to smear wrongly labeled conservative organizations. Worst of all, the conservative organizations that are wrongly labeled as hate groups and the millions of people who support the groups feel no better that Chase wants them to look at the totality of the Southern Poverty Law Center's work. Essentially, Chase is saying that it is okay to support the Southern Poverty Law Center's hate toward conservatives as long it fights white supremacists. Thank you for sharing your views with us. Our firm has a long history of supporting organizations that address economic inequality. In fact, we invest nearly $250 million annually in philanthropic work around the world to expand economic opportunity, partnering with nonprofit organizations dedicated to this mission. The evil on display in Charlottesville has no place in our country, which is why we have instructed Southern Poverty Law Center and other organizations to which we are making donations to use our dollars specifically to fight the neo-Nazi and white supremacist groups that were in Charlottesville. While we do not always agree with every program or position of the organizations we fund, we try to assess the totality of their work over time. Your views are part of that assessment, and we will take them into account. By no means did we intend for our donations to stoke divisiveness in our country. We hope you will look at the combined impact of our philanthropic efforts and the contributions we are making to strengthen communities around the world. August 28, 2017 Email Alert. JP Morgan Chase plans to donate $1 million to the Southern Poverty Law Center and its hate list. JPMorgan will donate $1 million to the Southern Poverty Law Center (SPLC) and the Anti-Defamation League (ADL) in response to the violent protests that took place in Charlottesville, Va., in early August. Peter Scher, head of corporate responsibility and chairman of JPMorgan, wrote a letter to staff Monday wherein he asserted the bank “stands in support of all those who reject racism and violence,” and pledged to support both the SPLC and ADL in their campaign of “tracking, exposing and fighting” hate groups and other extremist organizations. Scher announced that the bank will launch a two-for-one match for employee donations to groups that promote human and civil rights. Here are some facts regarding the Southern Poverty Law Center. • In 2014, under the Obama administration, the FBI cut ties with the Southern Poverty Law Center. The Department of Justice used to provide access to the hate propaganda published online by the Southern Poverty Law Center. However, the Department of Justice removed SPJC as a reference after more than a dozen conservative organizations complained about the erroneous labeling and public safety threats that accompany it. Source Judicial Watch. JP Morgan Chase certainly has the right to support whatever organizations it chooses. You have the same right to express your disappointment and patronize companies that do not support organizations that target conservatives with hate labels. Florida Family Association has prepared an email for you to send to express concern to JP Morgan Chase officials regarding its plan to fund the Southern Poverty Law Center.